While the manhunt for suspected murderer Kirby Wallace continues, several have asked why, after being arrested, was he released back into the public. 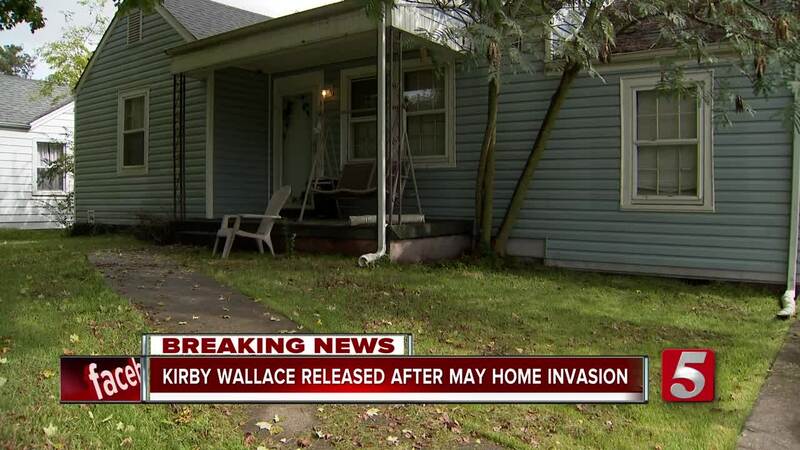 Wallace's alleged crime spree began back on May 2 with a violent home invasion in Clarksville. Wallace allegedly broke into Suzanne Hollyfield's home on Liberty Parkway around 11:30 a.m. Police say he tied her to her bed with ropes, cords and duct tape. He then allegedly stole her credit card, threatened her life if she gave him the wrong PIN, then stole electronics from her home. Hollyfield's daughter, Heather Holmes, says her family knew Kirby Wallace. He worked on her mom's home doing handyman work. She says her mom woke up in the middle of the night with a knife to her throat on that morning in May. Eventually, she was able to break free after her daughter says Wallace sexually assaulted her. She died one month later. Holmes says her mother just couldn't endure the pain from the attack. According to records, the case was bound over to a grand jury then "nolled," short for the latin phrase "nolle prosequi" which means the prosecutor will not or cannot try the case. The District Attorney decided to not pursue charges at the time and told NewsChannel 5 there was a lack of evidence. Wallace was then released from the Montgomery County jail. Since then, law enforcement believe Wallace went on to kill two people: a woman who died when Wallace allegedly burglarized her home and set her house on fire and a man whom he shot before stealing his truck. Holmes Skyped with NewsChannel 5 from South Carolina. She says she wants justice for her mother. "When they confirmed he was the prime suspect and I started seeing that in the news, I was absolutely livid. I was so outraged on behalf of the people that are being hurt because he had been captured and released captured and released and he never should have been released," Holmes said. The Montgomery County District Attorney says the case was dismissed without prejudice so they could re-file the case.